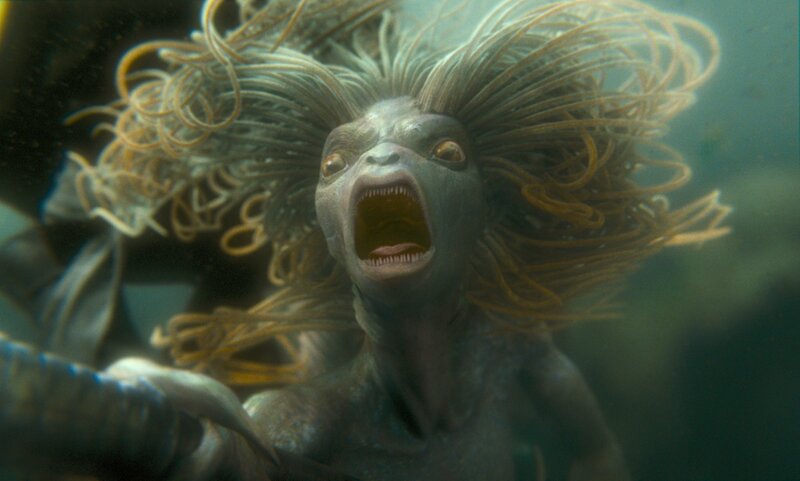 The merpeople had grayish skin and long, wild, dark green hair. Their eyes were yellow, as were their broken teeth, and they wore thick ropes of pebbles around their necks. They leered at Harry as he swam past; one or two of them emerged from their caves to watch him better, their powerful, silver fish tails beating the water, spears clutched in their hands.